ST. GEORGE’S, GRENADA, Tuesday, October 20, 2015: Effective, October 18th, 2015, the Petrol Tax has been increased by fifty cents (50¢). This adjustment was necessary in light of Government’s decisions not to proceed with the second round of Property Tax increases and not to proceed with the introduction of the Financial Activities Tax (FAT). Both measures are provided for in the Letter of Intent (LOI) with the International Monetary Fund (IMF), signed in June 2014. As a consequence of these decisions not to proceed with the aforementioned tax measures, an alternative revenue measure had to be found to ensure fiscal targets are met going forward. To this end, Government increased the Petrol Tax in September and October 2015. No further increases in Petrol Tax are planned. 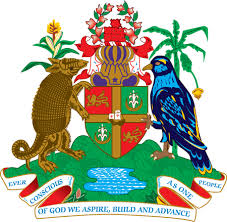 Grenada enters the final full year of its Homegrown Programme of Fiscal Adjustment and Reforms in 2016.